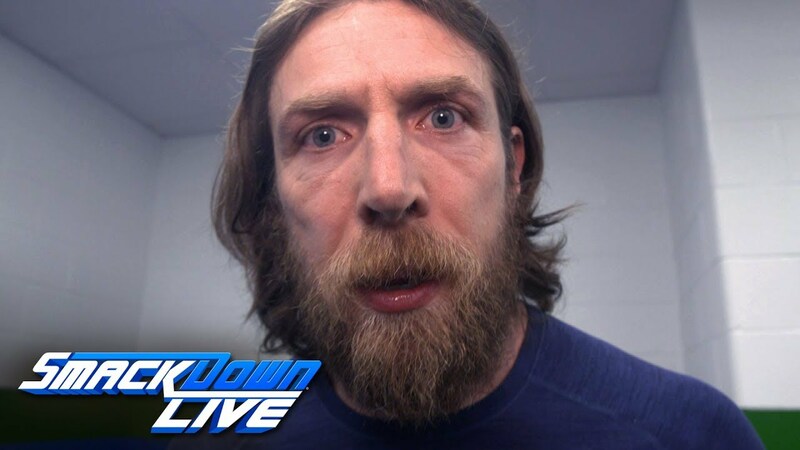 Daniel Bryan will face Big Colin Cassady at WWE Money in the Bank on Sunday, June 17. Bryan is taking the fight straight to Cass, who has been obsessed with trying to belittle The Yes man’s career in the company. But the response thus far from fans has not been overwhelmingly positive. Bryan has already beaten Cass once. 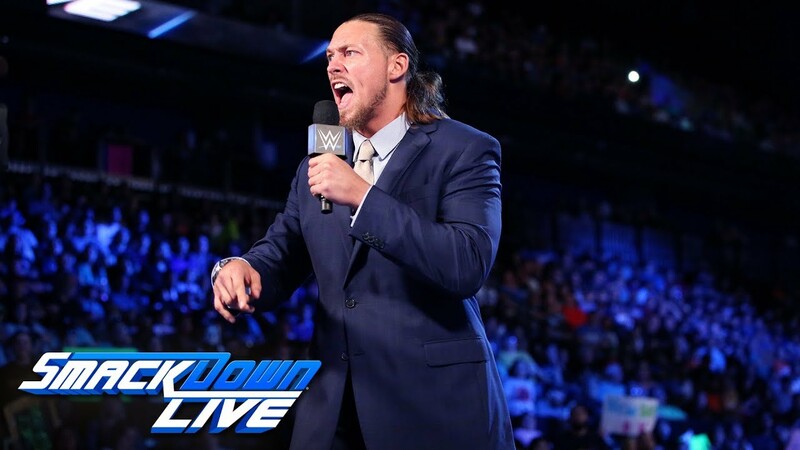 He was even restrained by WWE officials on a recent episode of SmackDown Live after attacking Big Cass in the middle of the ring. Cass of course is seven foot tall and Bryan is 5’10.” Cass outweighs Bryan by 75 pounds. However when the frenetic buzzsaw that is Daniel Bryan is on the attack, no one is safe. It’s that Daniel Bryan who is now in firm control of this storyline. Daniel is at his best when the odds are against him but in this case, he has the upper hand. Fans that may have believed Daniel was in trouble because of Big Cass’s size are now thinking otherwise and it’s all because of Bryan’s latest promo. It wasn’t a normal interview and it wasn’t a quick Q&A to post on WWE’s social media. This was a passionate, heartfelt verbal tirade that left no doubt among anyone listening that Daniel Bryan is a killer on the mic. Daniel burned Big Cass to the ground and he did it by using every observation that fans have made from the moment Cass turned heel. No, Cass is not a great pro wrestler and no, he shouldn’t be on top simply because of his size. It’s the skill that matters and Bryan pointed that out for the whole world to hear. Indeed Daniel Bryan was anything but an underdog in this instance; he merely just spoke the truth. The beauty of this promo is that Bryan did everything he was supposed to do yet he did it for the right reasons. Virtually nothing happens in WWE unless the company signs off on it and that certainly covers any content that makes it onto its official social media platforms. So while fans likely agree with Bryan’s assessment of Big Cass’s deficiencies, the promo itself is not at Cassady’s expense. This was more about Daniel and his current position in the company. While some believe he’s just not getting enough good exposure since his return, the truth is Daniel now seems to be in the driver’s seat. Bryan is an established talent. He has already conquered all of his opponents and risen to the upper echelon of WWE. He did work the main event of WrestleMania. Daniel Bryan may be on the mid-card right now but he’s already been on top. Of course his character would be confident in his ability to win. Daniel defied the odds and took down all three members of Evolution during a time when Triple H, Batista and Randy Orton rarely lost a match. Not only did he beat them all; he did it in one night. Daniel accomplished more in one year than Big Cass has accomplished in his seven year stint in WWE. Bryan would obviously take offense to Cass’s arrogant attacks and Daniel put the big man in his place. But on the flip side of this promo is Big Cass. He already lost to Daniel and was mauled to the point that he had to be rescued. What else can he do at this point other than insult Bryan and try to make him feel inferior? Big Cass’s character knows what Daniel has done in WWE. He’s firmly aware of that. But Cassady’s ego is doing all the talking for him now. Big Cass understands that to make an impact, he must call out a main event talent and try to take that talent down. But Big Cass picked the wrong guy this time because Daniel Bryan has never seen a fight he would back down from. Perhaps the biggest question surrounding this feud is what does the company do after Money in the Bank? Unless Big Cass cheats to win or recruits another Superstar to provide an assist, Daniel is probably going over. That doesn’t really bode well for Cassady, who apparently was using this feud as a springboard to something bigger down the road. Daniel Bryan is a company guy and surely has no problem working with New Era talent to help them along the way. So why is Big Cass looking so incredibly weak heading into June 17? The fact is WWE’s booking is once again under heavy scrutiny. Had Big Cass befriended Daniel in the beginning, then turned on him later, fans would probably be along for the ride. Making an enemy of an ally just to move ahead is a tried and true tactic used by many WWE Superstars over the years. But Cass of course did this to Enzo Amore and Daniel has never been viewed as a gullible character. So that was probably not going to work for the long term. Maybe this feud has nothing to do with Big Cass but instead has to do with The Miz. If Cass is secretly working for The Miz as a henchman, then the plan may be to destroy Daniel just so Miz can watch him burn. If that’s true, then it could all be leading to a main event match between The Miz and Daniel Bryan at some point. The WWE Championship may even be involved, which would automatically heighten the drama surrounding the match. Despite where this feud is going, there is no doubt that WWE seems to have taken it in the wrong direction. Instead of looking like a man in danger of losing due to size, Daniel Bryan looks like the cagey veteran that doesn’t sweat a guy because he’s bigger. Daniel has no fear and he has full confidence he will defeat Big Cass one more time. But this is Daniel Bryan. This is the man that rose to the occasion and took WWE by storm. No one can outwit him and he does not intimidate so easily. So perhaps this feud never should have happened at all. It’s time for Big Cass to rise up or fall down. Daniel Bryan did the same once and he conquered both. The post Daniel Bryan’s Promo Burns Big Cass Heading to WWE Money in the Bank appeared first on WrestlingRumors.net.